With an announced avocado shortage shaking up brunch-loving millennials in December, and a chocolate shortage sending lovelorn mothers into a wobbling frenzy late January, it can almost be expected that another favourite food group will disappear from menus this February. The Colonel of our hearts (and destroyer of our will) Harlan Sanders, has decided to deprive us of his life’s work, as he presumably just wants to see the world burn…a few calories. With the majority of the UK KFC outlets shuttered due to chicken shortages, the hideousness is real, as every socio-economically impaired casual drug enthusiast is balefully taking stock of their brunchtime options this pale morning. Ring the klaxon, for the end of times is finally upon us. Yay! Further explaining the schmozzle, KFC explained: “…we’ve brought a new delivery partner onboard, but they’ve had a couple of teething problems – getting fresh chicken out to 900 restaurants across the country is pretty complex,” which in itself is fairly ironic, as we gladly eat the ancient 11pm remnants of the flock when we’re otherwise impaired. What about that stock, Harlan? Hmm? The irony is that this delay comes just months after KFC partnered with DHL in a plan to “revolutionise” the future of fast food. A release in October pledged a “greater focus on innovation, quality and service performance (…); a faster turnaround of orders,” to be honest, this is not the first time a self-appointed Colonel has failed at staging a revolution. 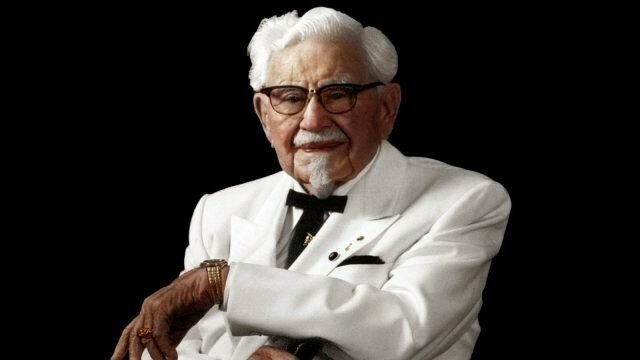 So, apparently, we should trust the Colonel to work it out. Although, between you, me and my hangover, I think I’m going to push for a court-martial.